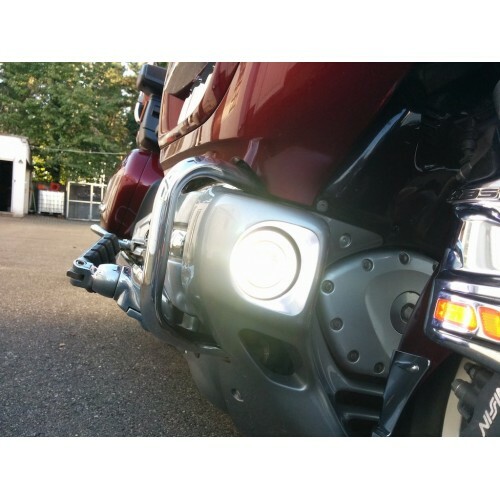 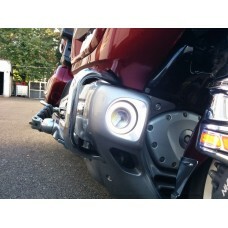 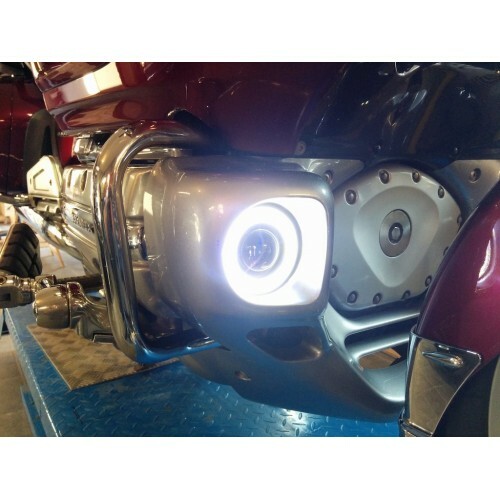 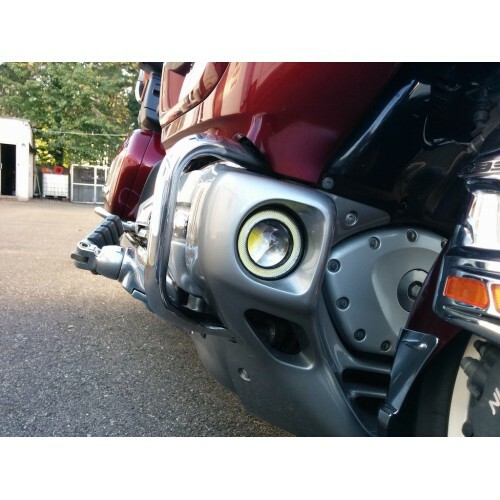 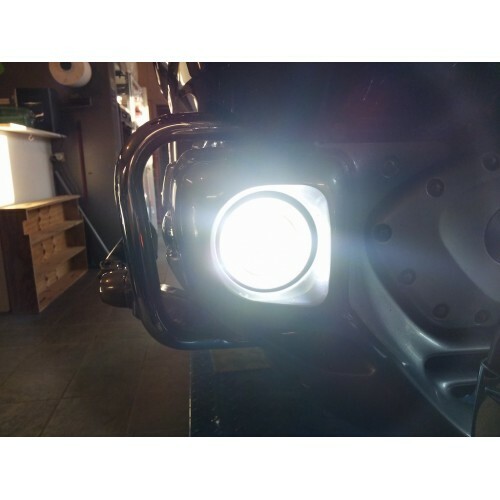 Eagle Eyes White : a combination of a Daytime Running Light (ring) with a central High Beam LED projector. 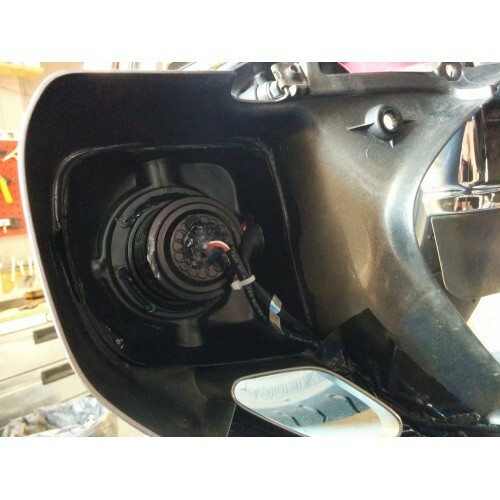 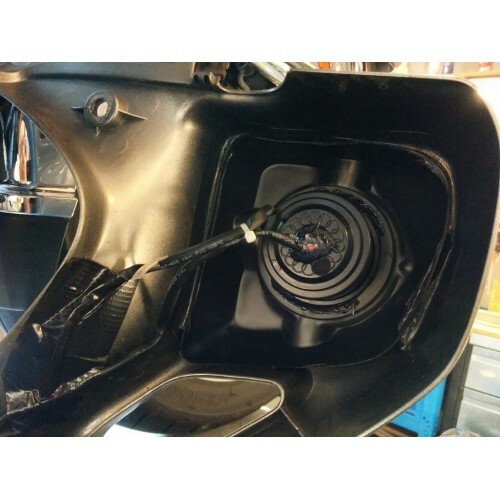 Easy fit in lower cowling with some dots of silicone glue. 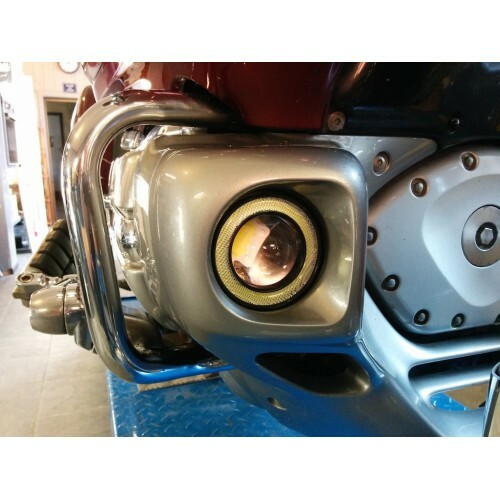 per box : 1 pair of lights (left and right), pre mounted.